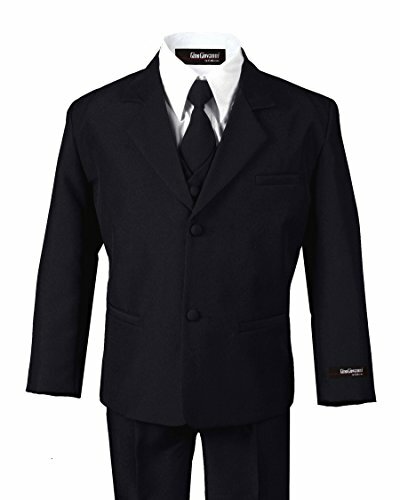 Black n Bianco First Class Slim Fit Suits for Boys and Kids of all ages. 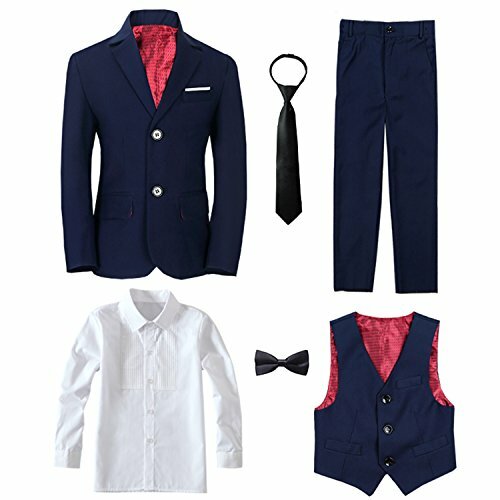 Includes: Slim Fit Blazer, Matching Vest and Slim Fit Trousers. 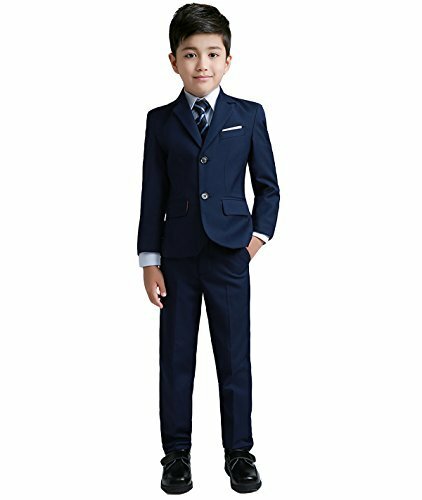 Yanlu 6 Piece Boy's Tuxedos Toddler Formal Suits Set Size 7 Kids Blue Slim Fit Suit For Weddings Description:-Single Breasted Jacket with Notch Lapel with soft shoulder pads fully lined. 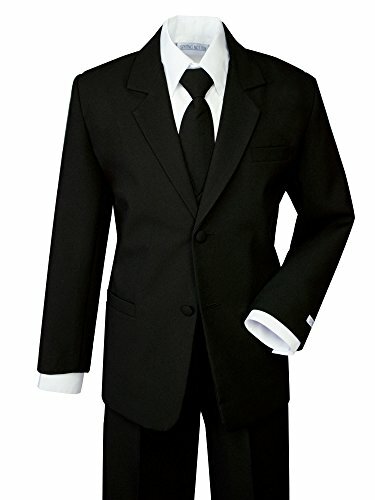 Two covered buttons, one welted pocket on the top-left chest, two welted pockets on the front(80% Polyester , 20% Rayon)-The long white dress shirt is made of 35% cotton, 65% polyester fabric-Matching fully lined vest with covered buttons-Color coordinated pants, a hidden fly zipper in the front, belt loops and an adjustable elastic waistband. 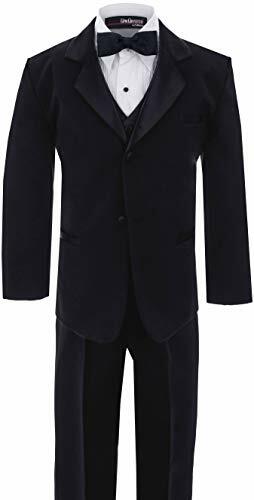 There are angled pockets on each side of the pants-A color coordinated tie and bow tie are includedFeature:-Gentleman Suits for boys for any formal occasion -Comfortable for wearing-Good as GiftWash Tips: -This Suit Can Be Hand-Washed and Hang To Dry. 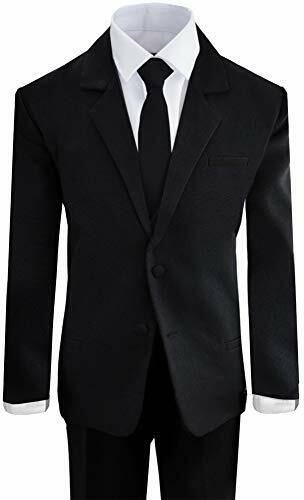 Recommended Dry Cleaning.-Color separation washing About YanluThis exclusive Yanlu collection is brought to you with our long standing tradition of high quality original design, fine tailoring and fit. This top quality line has been produced from beginning to end with much attention to detail. All materials used have been carefully selected and tested to ensure the best performance. 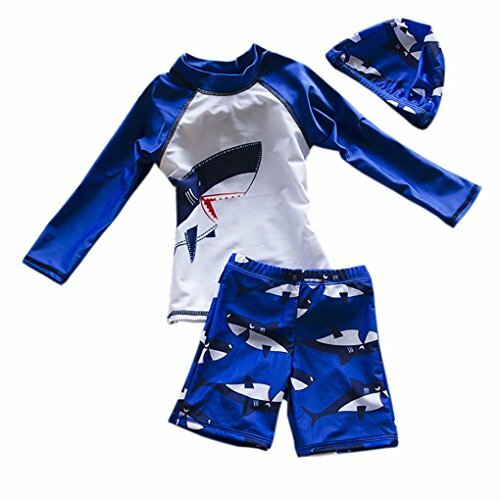 By choosing Yanlu you are guaranteed to get the utmost in design and in quality.